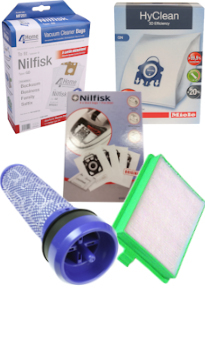 We supply bags and filters compatible with over 500 different types of vacuum including Nilfisk, Miele, Numatic (Henry), Inspire, Electrolux, Ovation, Dyson, Tristar, Vax, Sebo, Taski, supermarket brands and many more! We also have a wide range of bags, filters and other products for the commercial cleaning sector. We stock thousands of spares and products, both genuine and non-genuine..
With our Tullamore based sales & technical call centre staff. 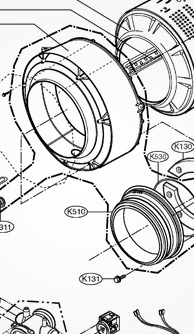 Over 1 Million spares, both genuine and non-genuine as well as diagrams for most brands to locate spares efficiently. We also have a special order service for anything we don't keep in stock giving access to many millions of parts in a matter of days. 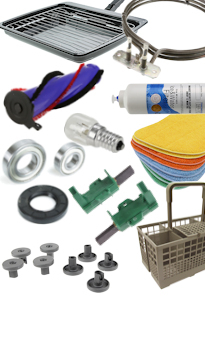 As well as genuine parts we stock cost saving replacement spares and accessories, available for all brands at very competitive prices. 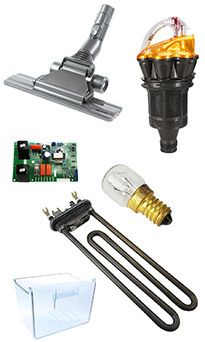 These are high quality spares from brands we have been distributing for up to 30 years. This gives us great confidence in our products and in turn, you can be confident in the spares and product you get from us! Our bulk purchasing capability allows us to pass on cost savings to you. 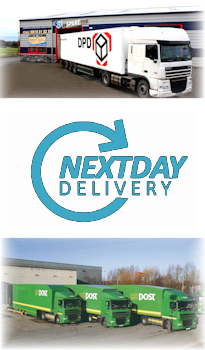 We are proud to be Irish, supplying Ireland with quality products next day! 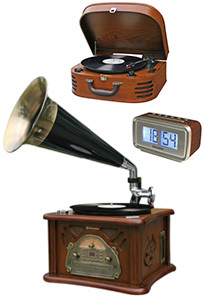 Mainland UK and Europe deliveries available. *Excludes bulk/pallet list and is dependent on time of ordering.